This, though, doesn’t mean that he’s holding on. We are merely witnessing a plodding process of disintegration whose direction, nonetheless, is unmistakable. Assad already doesn’t rule his county, except for a few undersized beleaguered enclaves whose survival prospects steadily diminish. The decision by the Russians to pull out most of their advisors and seconded personnel from what remains of Assad’s strongholds has fueled speculation in recent days that the Kremlin has finally given up on its floundering protégé and that he can no longer expect its automatic support. But in effect, Moscow’s move only underscores the anyway obvious, considering that all of Assad’s major military installations are now controlled by his foes. Coupled with these signals is the near-hysteria broadcast by Hezbollah’s Assad-ally-in-chief Hassan Nasrallah. He now suggests that his outfit might go so far as to issue compulsory conscription orders for all Lebanese Shiites to come to Assad’s aid. Many Shiite families have ceased sending their teenage sons to school, lest they be forcibly mobilized there. From Israel’s vantage point, Hezbollah may be bleeding but it’s still very much a force to be reckoned with, whereas Assad is a lost cause. The tacit trust that he’d keep our northern frontier quiet has long dissipated. Any way we look at it, Assad – the semi-rational “devil we know,” strong enough to maintain calm on the border but not strong enough to endanger Israel – is no longer a player. The sides fighting over the scraps of his erstwhile empire offer Israel a choice between the frying pan and the fire. It’s only a matter of time till the battling Syrian militias turn their guns on reviled Israel to garner glory and win the contest for the “most anti-Zionist” coveted title. Islamic State, which fully controls half of Syria and its borders with Iraq and Jordan, isn’t only duking it out with Iranian proxy Hezbollah but it’s also engaged in fierce battles with fellow Sunni Jihadists from the al-Qaida front, Jabhat al-Nusra. To be sure, Assad’s absence won’t bring peace to his crumbling country. Syria’s bloodbath will continue with IS controlling the biggest chunk and threatening Jordan’s monarchy. If they’re semi-successful, the Kurds will set up a fiefdom in the north-east, the Alawites in the north-west, the Druse in the south and the Hezbollah Shiites will straddle the border with Lebanon. 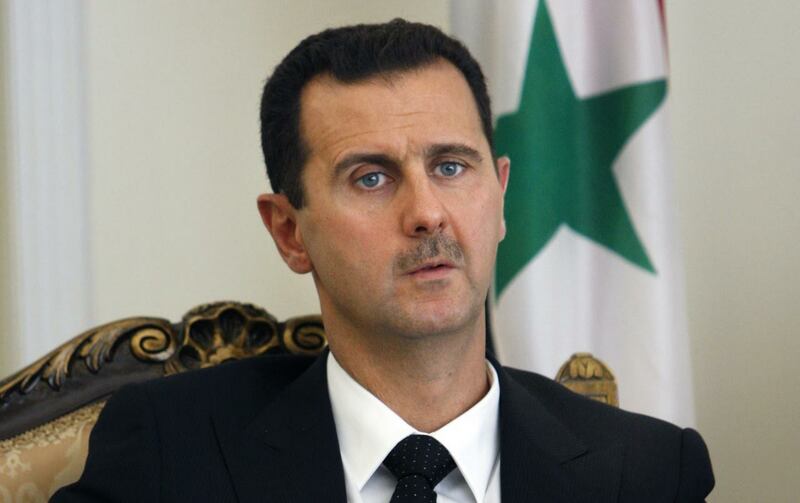 Post-Assad Syria is likely to become every bit as unstable as post-Gaddafi Libya. The evolving new Middle East will imperil Jordan, Lebanon and Saudi Arabia. It will betoken a victory for the Muslim Brotherhood, progenitor of al-Qaida and IS both. Syria as a powerful entity that figured in western diplomatic genuflections is gone, as are Iraq and Libya. The medieval chaos of rival Arab tribes and clans has reappeared with all the internecine carnage of old. Yes Israel’s castigators in the West, if they were honest, should now admit the error of their hasty renunciations and thank Israel for removing the menacing potential of nuclear power falling into rogue hands. Most of all, those powers who desire to purchase a temporary respite by appeasing Iran should pause to fear. They need to remember in whose hands they are ready to entrust nuclear weaponry. Nothing they consider as a solid sturdy given in the Middle East is what it seems. Just as Saddam, Gaddafi and Assad weren’t the dependable despots they were once assumed to be, no one has the right to assume that anyone can safely cut deals with Tehran’s ayatollahs and put their nukes out of mind. The appeal to Israel’s western critics to be reasonable is quaint but naive. They are harlots swathed in expensive suits ready to genuflect and sell their souls for money and Iran has pots of it. FIFA and the recent revelations are a good analogy. The idea that a well constructed case for hosting a World Cup Soccer Games could succeed was wishful bunkum. It was always and only about who is prepared to pay the biggest bribes. Russia and Qatar won their bids for no better reason and Iran will persuade the whores and build nukes for the same reason. It would also be nice to feel our leaders (without mentioning names) meant business when they say that the military option hasn’t been taken off the table. Let’s face it, Israel has a long, long way to go on the road to restoring it’s positive image of strength in the world. I join my uncle ! Just ask Sharansky to write “A Case for Tyronny” and we will be fine. That of course if inshallah. That was the most important sentence in the essay and I wanted to underline it. What Israel can expect to happen from Syria, is what happened from Libya, mostly a safe haven for and arms shipments to, Islamic miscreants. None of the parties want another front; the neighbors are so far, safe. The only effect on the outside world will be migrants. Those migrants (and I give myself a new paragraph since it’s so spiritually speculative) will, in my expectation, further the Almighty’s plan of vengeance. He will again use his favorite instrument, the Arabs and “lay His Hand on” Europe as he “laid His Hand on Egypt”. With their high aggressiveness and low intelligence they will do to Europe’s culture exactly what they did to Pharaoh’s. The pullout of Russian families from Syria (and Egypt) prior to the Yom Kippur war signalled quite the opposite. How can you blame the basic communities that represent the Arab peoples and ignore Islam? Islam is to blame for the carnage raging now all over the middle east, not Arab tribes and clans. I’ve heard worse. I’ve heard people write blaming the scriptural violence of Islam on the very same “Arab tribes and clans”. (to say the least) if he sought refuge in an Israeli jail? The Russians? They’re probably just waiting to see what happens. And peace, of the whole world, is just a deal away, it seems, with the peace-loving Palestrinians. But will there ever be peace with the criminally-Pollyanians?